Gulf Stream Coach was pleased and proud to welcome Executive Producer Joe Moniz and the production crew from “Rollin’ On TV” to the Gulf Stream Coach property on a beautiful day in early June. “Rollin’ On TV” is a syndicated show airing on cable networks across the United States, and is available in over 40,000,000 households. 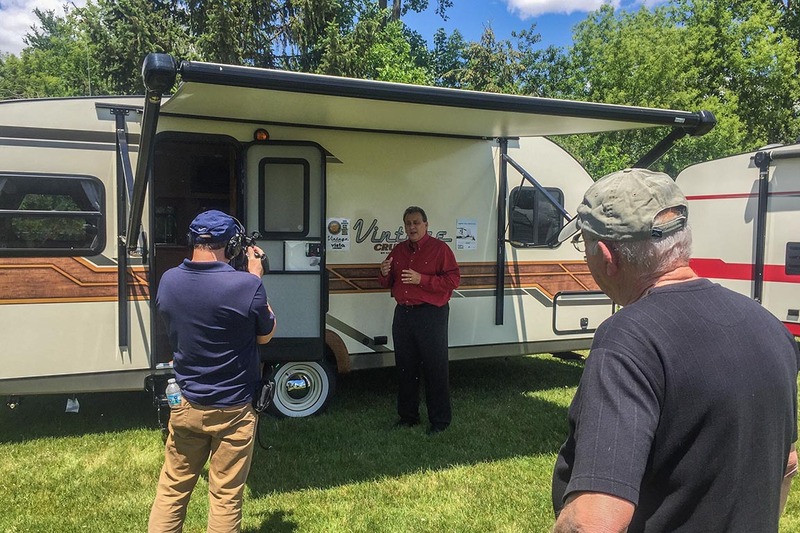 It provides an ongoing view of the RV industry and the RV lifestyle by exploring RVs, RV-related products, features, accessories, and camping tips with RV enthusiasts in an entertaining, easy-to-understand half-hour program. 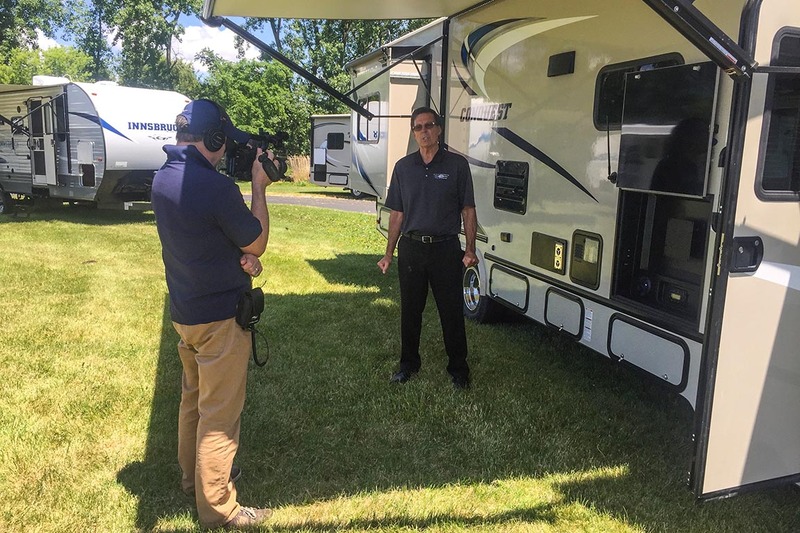 “Rollin’ On TV” is producing a program segment about Gulf Stream and our Conquest Class C motor homes to be aired in early August. It’s likely it will be available in your area – Just check with your local cable/satellite provider, or visit www.rollingontv.com for air times and dates. 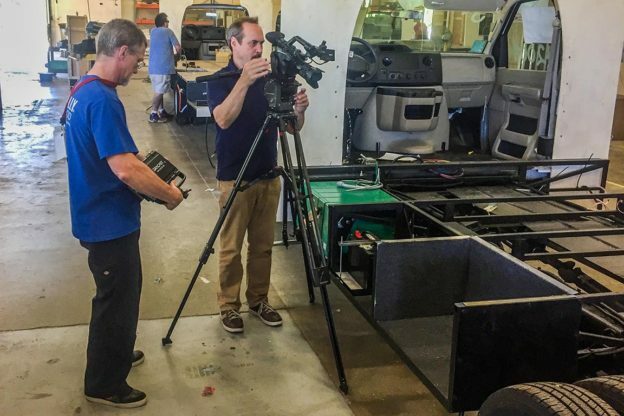 While on the Gulf Stream Coach property the production team captured walk-around tours by Bob FitzSimmons and Tim Dennig, who described features and benefits of the Conquest Class C and the Vintage Cruiser, respectively. The Gulf Stream Coach team also discussed the remarkable heritage behind the company, explaining its family roots, and focus on pleasing customers, rather than working to satisfy stockholders and bankers. You’ll find “Rollin’ On TV” to be a great addition to your regular viewing schedule, as it covers everything from RV construction to campground cooking. It’s also the best broadcast source for long-format, real-world reviews of RVs by one of the RV world’s most knowledgeable experts, Jeff Johnston. This entry was posted in News on June 14, 2017 by pcampbell@gulfstreamcoach.com.